A mid season variety of excellent hardiness and productivity. Good size berry, firm with a deep red color. Attractive fruit for fresh market. Mid season variety of very good productivity. 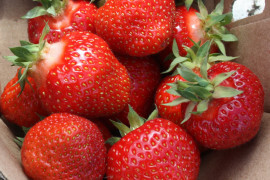 Berries are firm with a very goog size, bright red in colour and easy to reach. Late bearing variety, seven days after Jewel. Shiny bright red berry of good size, firm and very juicy. 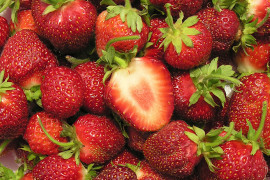 Ideal for U-pick, a high yielder with a very sweet taste. « AC » is an official trademark used to a license granted by Agriculture and Agrifood Canada. 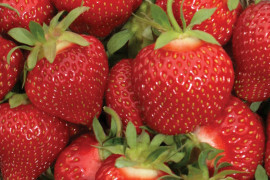 Early mid-season variety, with very good hardiness and excellent productivity. 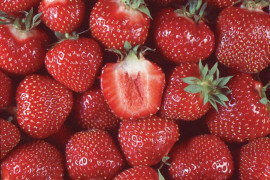 Berries are shiny light red of good size and firm. Fruits are know to contain high levels of antioxydants and sustain a long shelf life. Plants are vigorous with a low spread habit, foliage has shown a very good resistance to leaf spots. A must known cultivars, with a high yield potential. New mid-to-late season variety, good hardiness. 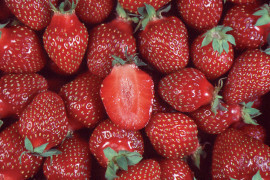 Good size fruit, with good firmness and medium red colour. 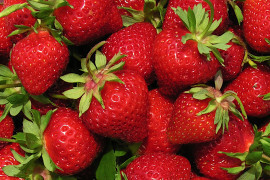 Excellent variety for its lasting freshness, ideal for the fresh market. Late season variety with excellent productivity. Very good size firm and good flavor berries. 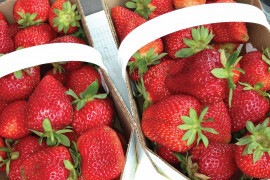 Early bearing variety offers very high yield with large conic bright red fruit. Plants are vigorous and moderately resistant to powdery mildew. Interesting variety for its high-quality fruit. An early variety with good hardiness and good productivity. 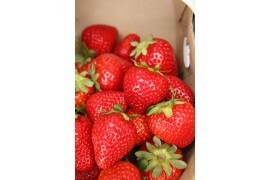 The strawberries have good size, good firmness, medium red glossy colour with good flavour. Resistant to certain races of red stele but susceptible to mildew. A late variety with very good hardiness and very good productivity. 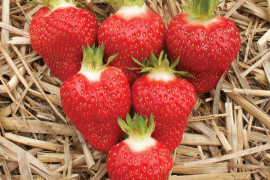 The strawberries have good size, medium firmness, medium to dark red colour with excellent flavour. Susceptible to leaf scorch. A mid-to-late season variety with good hardiness and very good productivity. 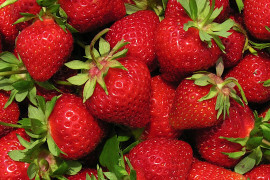 The strawberries have good size, good firmness, bright red colour with average taste. Interesting variety if looking for a bigger size fruit. A mid-season variety with good hardiness and good productivity. Good size fruit. 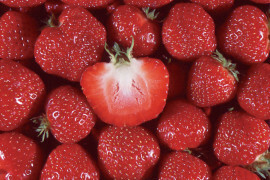 At maturity, color and ripening are not uniform. Sensitivity to Sinbar and to root diseases. 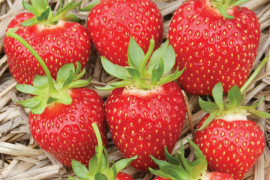 A mid-season variety with excellent hardiness and very good productivity. 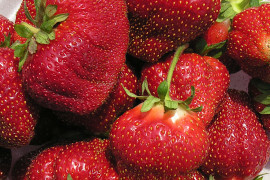 The strawberries have good size, good firmness, medium to dark red glossy colour with very good flavour. Susceptible to mildew. Biconical and uniform fruit size, easy to pick and to hull.